(HealthDay News) — Spermatogenesis occurs in most men with testicular cancer, often away from tumors, according to a study published online in BJU International. Jemma A. Moody, from King’s College London, and colleagues retrospectively reviewed 103 testicular germ cell tumors (TGCTs) in men who underwent radical orchidectomy (between 2011 and 2015) in order to assess the frequency and predictors of spermatogenesis. The researchers found that spermatogenesis was present in 70% of the patients. Spermatogenesis was widespread in 63% of these patients and focal in 38%. Tumor type, stage, presence of microcalcification, and tumor markers did not predict spermatogenesis. 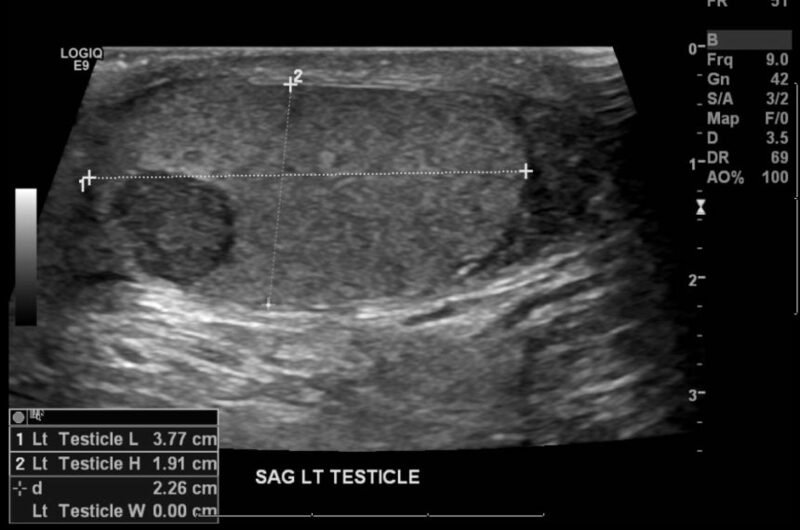 Spermatogenesis was 82% less likely among men with a percentage testis tumor occupation of >50% of their testis versus those with a percentage testis tumor occupation of <50%.